Last week I wrote about the disturbing topic of stratospheric aerosol geoengineering and how we are unwilling participants in an ongoing science experiment. I can't just drop off with this disturbing information without giving you an idea of how to possibly detox the crapola out of your beautiful system. So I went on a bit of a researching rampage of how to specifically detox aluminum from your body. As you've seen, having excessive aluminum in your body can cause severe problems like Alzheimer's disease, is linked to autism and accumulates in tissues and in the brain. This isn't anything anybody wants to mess with. On the MSDS sheet, it lists a host of problems. "Chronic ingestion of aluminum may cause aluminum related bone disease or aluminum-induced osteomalacia with fracturing osteodystrophy, microcytic anemia, weakness, fatigue, visual and auditory hallucinations, memory loss, speech and language impairment (dysarthria, stuttering, stammering, anomia, hypofluency, aphasia, and, eventually, mutism), epileptic seizures (focal or grand mal), motor disturbances (tremors, myoclonic jerks, ataxia, convulsions, asterixis, motor apraxia, muscle fatigue), dementia (personality changes, altered mood, depression, diminished alertness, lethargy, ‘clouding of the sensorium’, intellectual deterioration, obtundation, coma), and altered EEG. In simple terms, the most notable symptoms of aluminum poisoning are diminishing intellectual function, forgetfulness, inability to concentrate and, in extreme cases, full blown dementia and Alzheimer's. Aluminum toxicity also causes bone softening and bone mass loss, kidney and other soft tissue damage and, in large enough doses, can cause cardiac arrest." Yeaaaaaah. I'm thinking we might want to avoid that. It is in things like deodorant, vaccinations, baking powder, makeup, aluminum cans (pop as well as canned veg and fruit or meats), antacids, aspirin, groundwater, the soil and as a result, pretty much everything. Time to detox, homeboys (and girls). I looked specifically to find something to remove it and here's what I've got for you. Apparently high silica content mineral water is very efficient at grabbing the aluminum and purging it out of your system. There are a couple companies that sell such things (one I saw is called Volvic). I haven't tried that water, but if you want to, it's been tested to remove aluminum well. It totally looks like a horse's tail! 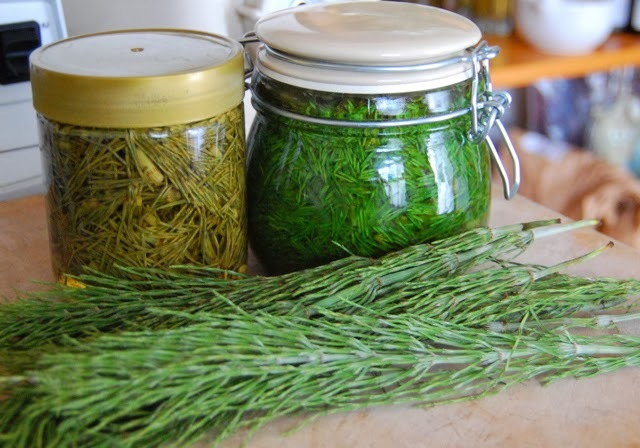 If you want to go the herbal route, horsetail herbs are good at detoxing aluminum. 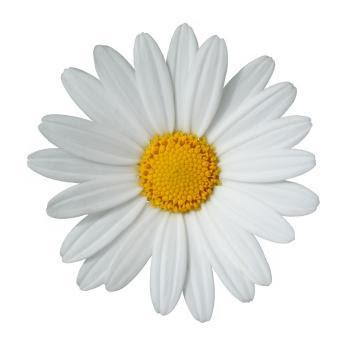 As with any herbal medicine and treatment, you need to know what you're doing and in what amount. I saw that a common form for horsetail was to have it in a tincture (which can be purchased at your local health food store or online). You could learn to make your own tinctures if you want to do it a bit more cheaply. I did read that you ought not to take horsetail for extended periods of time, so keep that in mind. 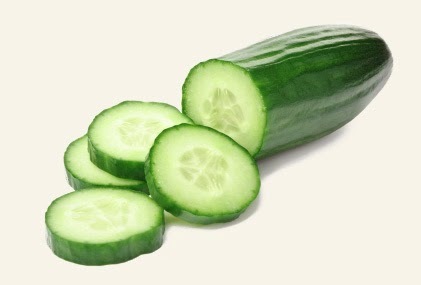 If you are more into the very bioavailable route through proper food, organic cucumbers are great for removing aluminum. Tasty and healthy. If you are interested in detoxing all heavy metals, there is something else you can try that is called Liquid Zeolite. I have personal experience with this product and I really like it. 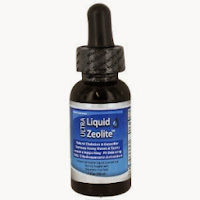 Zeolite is from volcanic sedimentary rocks. You take it by squirting a brownish and gross looking liquid into your good clean water and then drinking it. It's kind of weird at first, but as it has no taste, after you've done it a few times, you pretty much feel like you are a boss because it looks so gross yet you are so tough that you are seemingly unaffected. The crowd looks on in amazement at your impressive tricks. Er, well, something like that. Or that's what I pretend is happening while I take it, anyway. So don't despair! You're not destined for ill health! If your brain is a bit cloudy, perhaps you are a bit overloaded in toxins. But you don't have to be. Pick your aluminum detox and feel better! Peace, love and clean it up!